Middle of July, I head out to CA, pretty close to where I grew up, for the Hot Rod Shootout. This is the last big outdoor 1/10 race left in the US, so it’s become pretty special and fun. I flew in Tuesday evening and was all ready for practice on Wednesday. 10am – 6pm open practice Wednesday and Thursday, followed by Qualifying Friday and Saturday, and mains on Sunday. 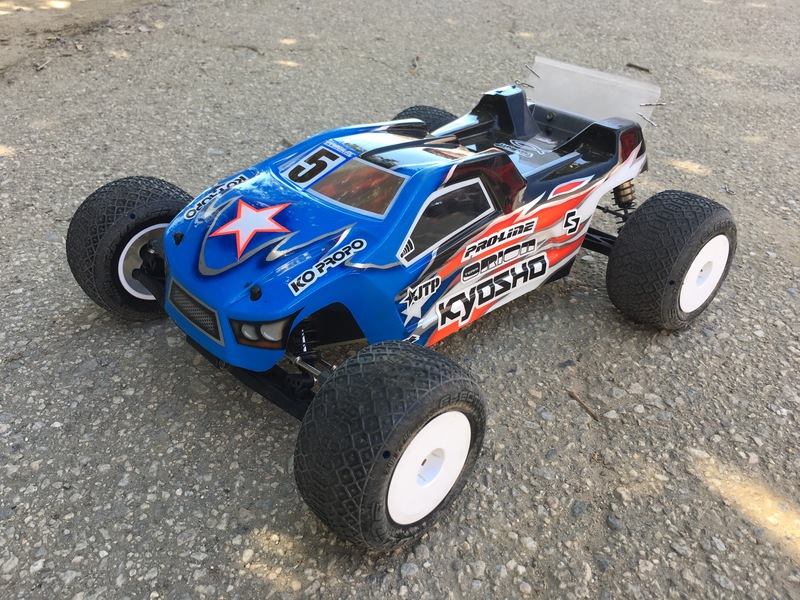 I am racing three modified classes, 2wd Buggy with the new Kyosho RB6.6, 4wd Buggy with my Kyosho ZX6, and Truck with my Kyosho RT6. The track is a dry blue groove style, with medium to high traction. The track layout seemed pretty easy and basic, before getting on it, but that would prove to not be the case. Day one went pretty good, as I drove all my cars a few times, and the track broke in pretty quick. 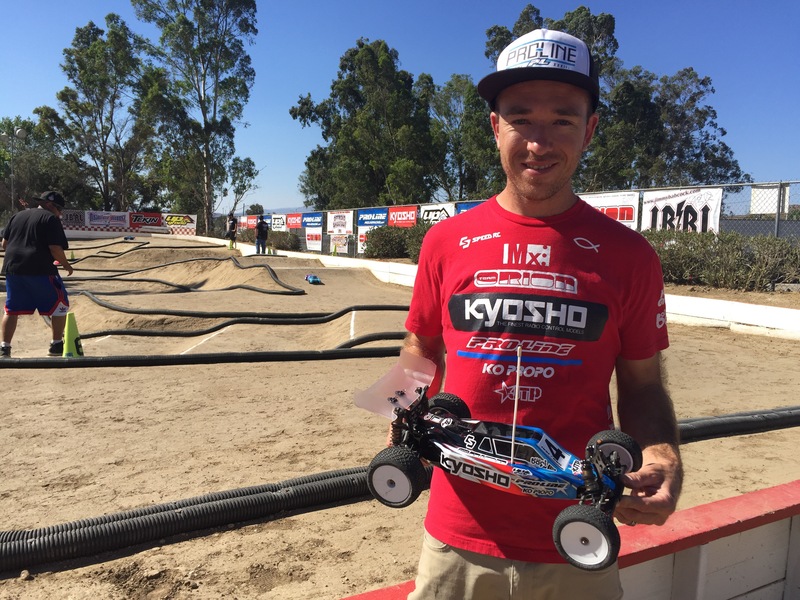 I also brought my Kyosho RZ6 2wd Buggy to test in practice. Wednesday I was more focused on my 2wd Buggies. I tested the RZ6 a few times and then drove the RB6.6 at the end of the day. Both cars were feeling good, but I was struggling with consistent laps with the RZ6. Thursday the track would be a little better and more consistent. My plan for the day was to run each car three times and then get some qualifying tires mounted and ready for Friday. First was to test my RZ6 and RB6.6 and decide which I wanted to race with. After not getting the braking and drag brake comfortable with the RZ6, I decided to run the new RB6.6 during the race weekend. Open practice days are just lap time battles, trying to get fast lap times and see what the competition can do. I was feeling pretty good with all my cars, lap times were fast with all three. Traffic is crazy though with open practice, mixing mod cars with stock cars, and many different driving skills, so it’s hard to really see how the weekend will go after doing just open practice. Qualifying is here, Friday would have Q1 and Q2, with the heats not being seeded, just random, traffic would be crazy today as well. Q1: Truck was up first, and I was ready to get on the clock and start racing. 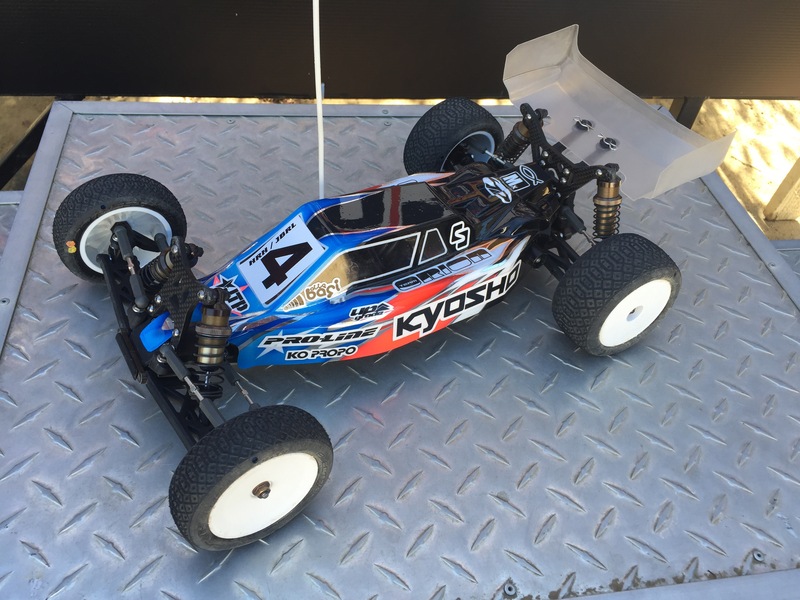 My Kyosho RT6 was feeling great, so I knew I had a good shot at TQ. 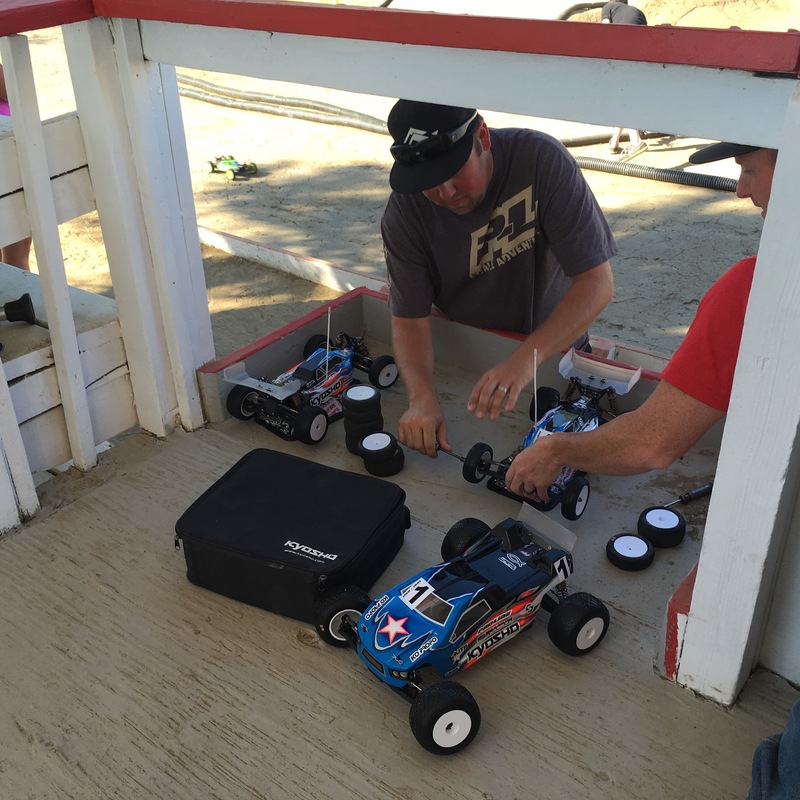 Ryan Cavalieri was in the heat before me and set the TQ, so I knew the time I needed to beat. I got off to a rough start, casing the triple jump and crashing. My lap times were super fast though, so I worked back into the lead and was getting closer to the TQ time. About halfway through the 6 minute qualifier, I was ahead of the TQ and finished off strong to get the Q1 TQ. 4wd was next, and I had a decent run, pretty clean, and got 3rd. 2wd was last, and my RB6.6 was awesome. I had a terrible start, crashing three times in the first two laps, losing 8 seconds, but I got into my flow and started to reel off really fast lap times and work my way up the order. I finished off super strong and was 2nd by only .1 of a second, so I would end up 2nd in Q1. Q2 was here and I was ready to race again. Not making any changes, I would just try to have cleaner runs in 4wd and 2wd. 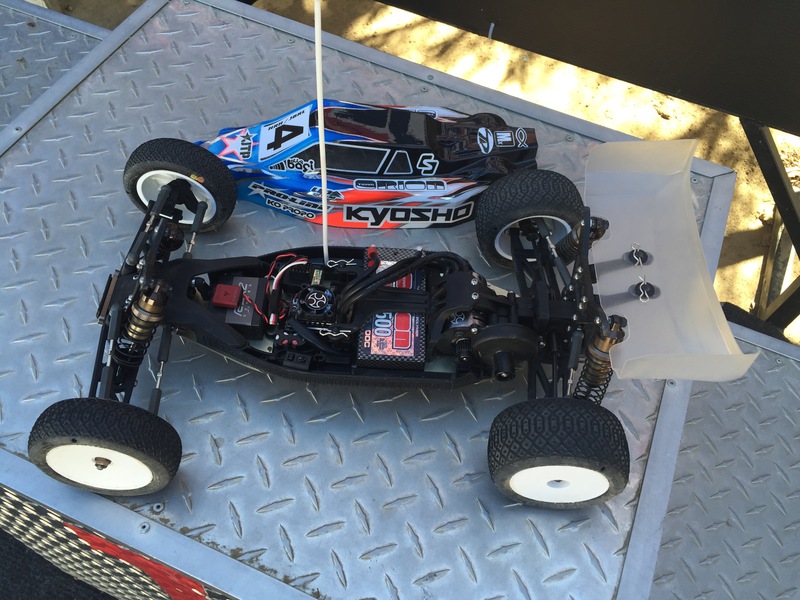 Truck started things off and again my Kyosho RT6 was great. I had a clean run and took another TQ. 4wd I would make a few mistakes again, and just not really have the raw speed I need to fight for TQ, I would get 5th. The track was difficult and with the random selected heats, traffic was pretty wild in qualifying. It was tough to keep your clean lines and drive where you need to when you are passing crashed cars and slower cars during the qualifier. 2wd I would have good speed again, but make some mistakes, and would end up 5th. HRS is also a special event because they do a PRO/AM program, putting a rookie driver together with a Pro driver from 2wd Mod Buggy. We add our overall qualifying position, and then our overall finishing positions, and the team with the lowest score wins. Carley was my rookie, we worked great together. 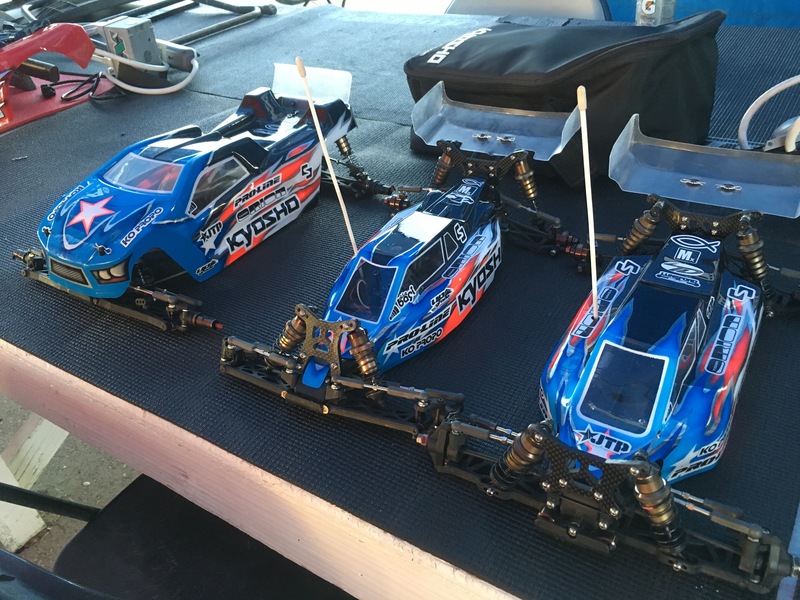 Proline Racing was kind enough to give her a full set of Proline X2 Electrons, so she was hooked up during qualifying and mains. I worked with her driving some and some of her electronic settings throughout the weekend, and her last race was her best. 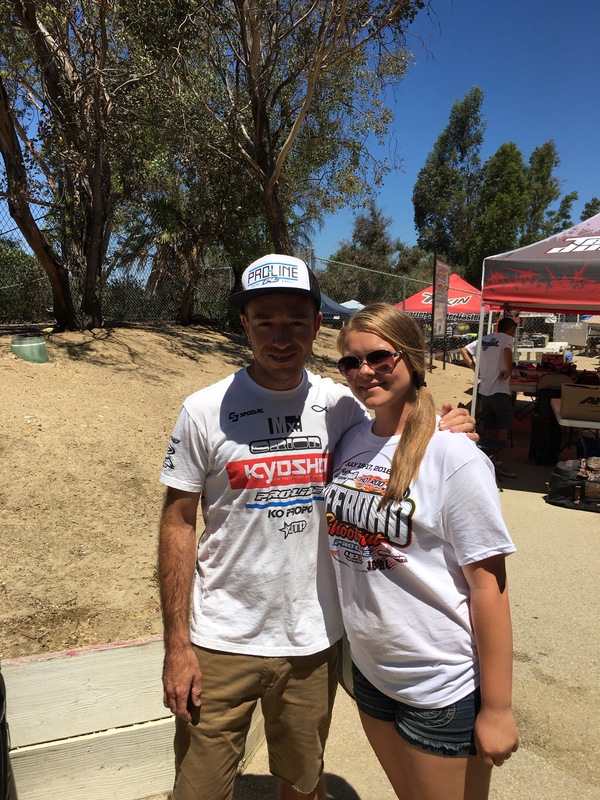 She qualified 8th, but finished 7th, with a great 6th place finish in A3. Q3 they would reset the heats using your best single qualifying score from Q1 and Q2, so the racing should be cleaner and faster. Truck would be first, and now all the fast drivers would be in the same heat. I needed the TQ to lock up the overall, and I had my best run yet. The truck was driving great and I had a clean run start to finish, taking an easy TQ. 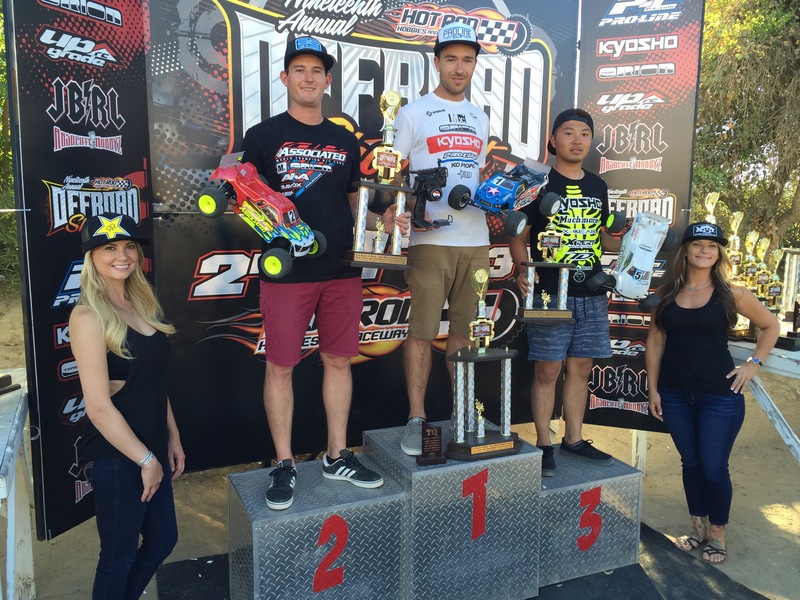 4wd would be good, but I still wasn’t quite up to speed to battle for a TQ, and I got a 4th. 2wd I was wanting a clean run, with good speed that I knew I had. The track was still difficult, and I ended up having a few crashes, getting a 6th. Q4, and I needed solid runs in 2wd and 4wd to get top three starting positions. Truck I had the overall, so I used the last round to test a different set of tires with a different foam insert than I had run all weekend. I was still fast, but Cav found more speed, I had to push harder and didn’t really like the feeling of the different foams. I made a few small mistakes and took 2nd. 4wd I would have my best run of qualifying and felt better with my setup, taking a 3rd. 2wd would be an awesome race, the track being difficult, and other drivers crashing all over the place. I made a rear shock location change, and my car was better than it had been all week, and I had a perfectly clean run. The other drivers were all over the place, crashing multiple times, it felt like I was driving through a war zone, and I was in the flow, taking the TQ by 8 seconds! That would give me the overall TQ, so I was very happy! After the qualifiers were over, I broke in all my main tires, 3 full sets for all 3 cars, each set of tires getting 4 laps of break in. A2 time was here, and I put all A1’s behind me. The track seemed weird, gaining side grip, but actually losing forward grip, which is not a normal condition. When the car was loaded in a corner, grip felt high, the cars feeling edgy. Corner exit though, the cars were loose, also under braking the cars felt loose. I made a rear shock location change on my KYOSHO RT6, standing the shock up one hole on the rear tower, I was hoping that would help it to be more stable in the corners. Right off the start, I bumped the pipe before the first triple, making me jump more to the outside. Cav was on it, went to the inside and made the pass. I wanted to strike back fast, so I pushed hard, driving as close to him as possible. The changes were much better and my truck was feeling great this time. A couple of laps went by, and then going through the sweeper getting onto the straight, Cav went a truck width wide, I saw the opening and striked fast, getting wheel to wheel, and then getting passed and into the lead. Cav wasn’t expecting the pass, and it frustrated him, he made a big mistake and I lead the rest of the race and took the A2 win. 4WD, I needed a more competitive drive then I had in A1. Right off the start I had an issue, not driving, but mechanical. My car wasn’t pulling very hard coming out of the turns, and also was having a lot of under steer issues. I did the best I could, and finished 5th. After the race, I saw that my center diff had broken, and all the fluid had flung all over the car and inside of the body. For A3, I was forced back to the center slipper. 2WD was next, and I made some shock changes after A1, so I was excited. Had a good start, but my feeling still wasn’t great on the landings. Tessman, who won A1, moved into 2nd and then was all over me. I landed bad off the back jump, and Ty got next to me, but on the outside. I tried to control the turn, but he just turned down into me, we got tangled, and I dropped to 3rd. 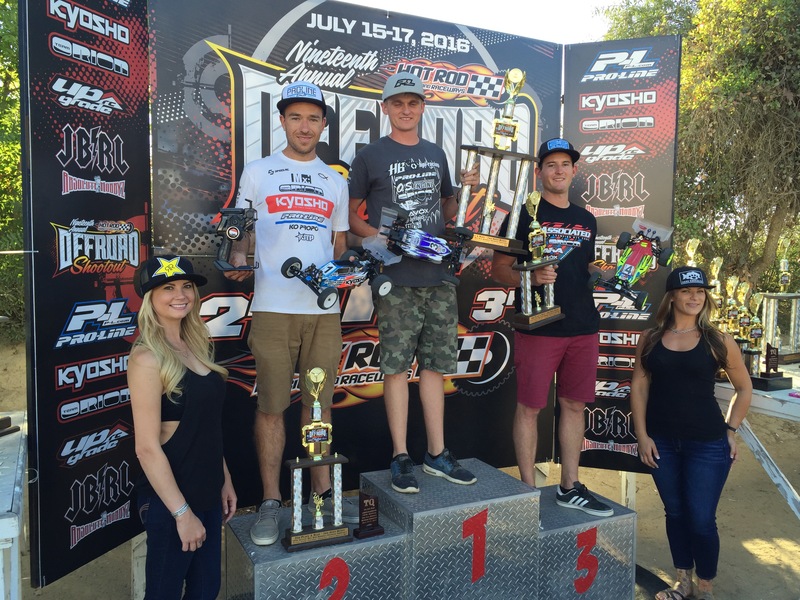 My pace wasn’t fast enough when I had to drive careful on the landings, so I had to kinda settle for 3rd. Ty won A1 and A2, so the win was over, which was a bummer. Time for the final legs of the A Mains! Truck was up and I wanted the win! Got a good start and Cav bobbled early, so I thought I had it. I think I was thinking too much about having Cav drop back and thinking I would take an easy win, my pace slowed down and I had Evans all over me. I then made a small mistake and went to 2nd, which actually helped me. It gave me the perspective I needed….get back in the groove, don’t think about anybody else, and just get the win. I challenged Evans and forced him into pushing to hard into a 180 turn, he flipped and I took the lead, the win, and the overall! 4WD was next, and I was deep in the battle for 3rd overall. Changed from the center diff to the slipper for A3. As soon as the race started, I felt issues similar to A2, but this time, I had simply set the slipper too loose, and the pads glazed, causing the drive to slip very bad. I crashed a few times early, just trying to get my jump timing down. Halfway through I had my groove back and was on the charge, getting into 4th at the end. I needed 3rd though in A3 to get 3rd overall, so I ended up 4th. 2WD I made a rear shock spring change, in search for my qualifying pace and handling. The car was better, but still extremely difficult to land and not have issues. I drove really well, which I was happy with, but it was a messy race, with early mistakes from multiple drivers jumbled the order all up, but then the race sorted some and it was a duel between me and Maifield. We battled hard, with some intense racing and aggression, but clean. Multiple lead changes, with a late race pass on Maifield after he bobbled. I took A3 and 2nd overall! 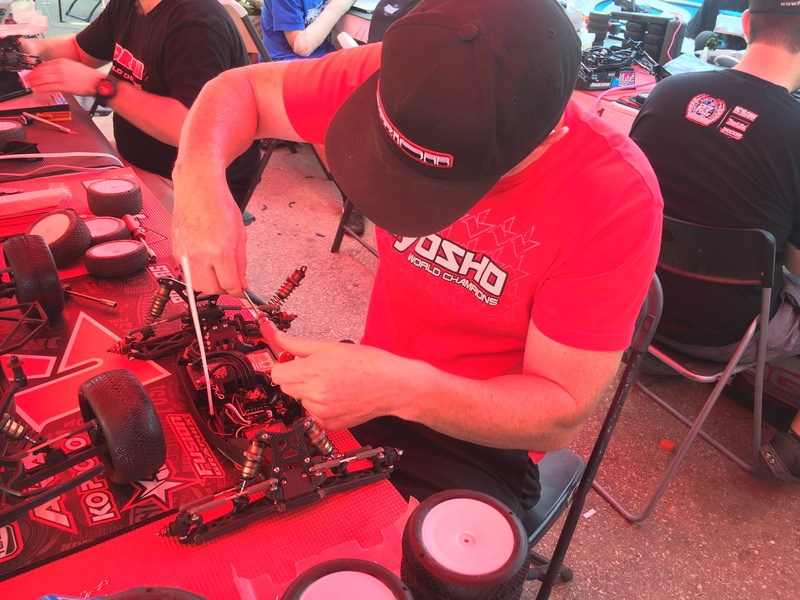 Thanks to all my fans, my family for the support, Kyosho, Team Orion, Proline, MX, Ko Propo, Speed RC, JTP, UpGrade-RC, TD Paint, Lunsford, LiveRC.com, Rock Brook Church, and the Good Lord Jesus Christ. Thanks for ready, see you at the new one, God Bless!